Helping You Raise Dough For Your Community! You can raise BIG Dough for your group/organization selling a product everyone loves -- Little Caesars Pizza Kits! 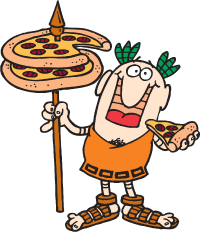 Little Caesars® is a trusted brand and pizza is one of the most popular foods in the world. Plus, your group/organization will have fun selling Pizza Kits! Little Caesars® is one of the best known brands in the world which makes Pizza Kits easy to sell! Your customers will ask you for them again and again! The more Little Caesars® Pizza Kits your group/organization sells, the more dough you make. You can earn from $6.00 for each item sold! You’ll be amazed at how quickly your profits add up! You expect quality and value for your money. Little Caesars® is known as a value leader and you’ll find that Pizza Kits deliver with superior taste and affordability. Each Kit includes everything you need to make at least 3 delicious family-size pizzas at home in less than 10 minutes! You’ll be delighted with Pizza Kits, value, quality and convenience. Little Caesars® Pizza Kit products are made with the highest quality, freshest ingredients available! Our ingredients are carefully selected on the basis of quality, taste and nutritional value. Your expectations will be exceeded by our delicious freshly baked crust, 100% real Mozzarella and Muenster custom cheese blend, our unique sauce made from vine-ripened tomatoes, specially crafted spice blends and quality toppings. From your first call through delivery of your Kits, our friendly Fundraising Experts are here to help you have an easy and profitable fundraiser. We’ll help you set goals, motivate your Sellers, increase participation, and boost your profits! You'll find exciting new online features and fundraising tools on our website at PizzaKit.com. Organize and manage your fundraiser online from start to finish. Your Sellers, Supporters, and out-of-town customers can purchase Pizza Kits directly from our website! You’ll also find easy-to-use templates for announcement letters, reminder messages, thank you notes, and more! Our team is ready to personally answer your questions. Call us today at 1-888-452-5487 or visit us online 24 hours a day at PizzaKit.com. Find out how fun, easy and profitable a Pizza Kit Fundraiser is at Getting Started. You can also review, download and print our information packet today or simply complete our request for information form and we'll contact you shortly.